At a young age, Alex Sheen lost his father to cancer. But out of a tragedy came a positive – an international social movement. 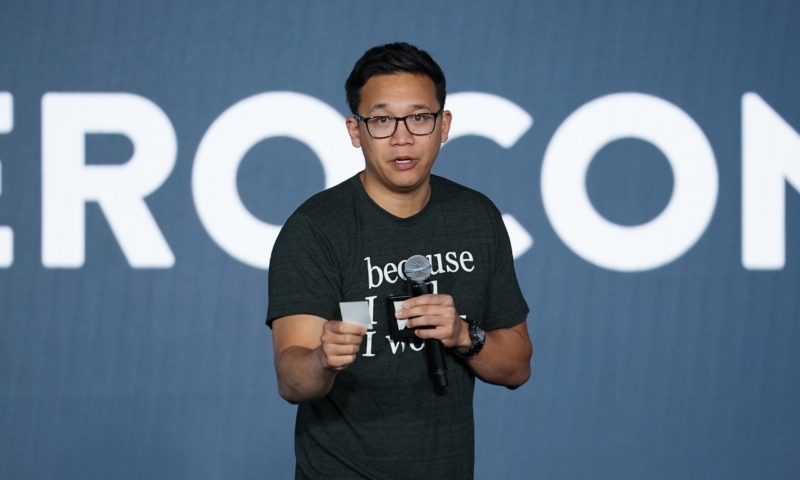 The founder of ‘because I said I would.’, Alex took to the stage at Xerocon Atlanta to deliver a keynote that left not a dry eye in the house. He hit home the true importance of a promise and keeping them. Because I said I would. is a non-profit dedicated to improving humanity, by encouraging people to make and keep promises. After the death of his father, who Alex describes as a man known for keeping his word, Alex began to send promise cards to people that requested them. Alex designed these as a way for people to write their promises down, whether they be to others or themselves, as a sign of their commitment to fulfilling them. Since 2012, because I said I would. has sent nearly 10 million promise cards around the world. He believes there is a lot of hope for the future of humanity, but it’s not a quick fix that will solve our problems like funding or a miracle cure. But the solution is simple in nature. “What the world will always need is for people to do what they said they would do in the first place,” Alex said. Alex asked attendees to join the because I said I would. movement. He asked them to make one promise today and hold on to it. He asked everyone to write it down, or remember it mentally, and to treasure it. We are all in charge of our own destiny, so he stressed the importance of following through with this promise. It could be big, like landing that dream job, or it could be small, like going to the gym today. “Right before you quit ask yourself, ‘why did I make this promise?’,” Alex said. Regardless of the promise, it’s the premise behind the promise that’s important. It’s the dedication to the cause that counts.